Although Bath is known for its elegant architecture and very smart shops, I am surprised to spot quite so many beautifully dressed people walking down Milsom Street on Wednesday as I head for the Roman Baths with my young American visitor in tow. It’s just an ordinary weekday afternoon, but half the population appears to be on its way to a wedding. And not just any old English wedding. There are some exotic costumes in evidence, such as jewel-bright saris, with gold trimming glinting in the unexpected afternoon sun. 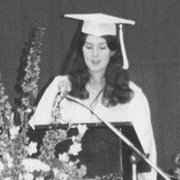 Then a beaming young lady walks past me wearing a mortarboard and academic gown, and the penny drops. It’s Degree Day. As we descend down Union Street, we see more soon-to-be-graduates, flanked by proud parents, ebbing down towards the Abbey. I’m glad for them that the sun is shining: it’s an auspicious start to the next stage in their lives. Behind their broad smiles, the gowned ones look a little nervous. I know how they are feeling: recognising the end of a relatively carefree era and apprehensive about what the future might hold. I recall sitting in the back of the white van in which my brother collected me and three years’ worth of accumulated belongings. As we pulled away, I watched the porter’s lodge recede behind us. I was reluctant to turn round and face the way we were going: I did not want to acknowledge that university and York were now just a part of my past. 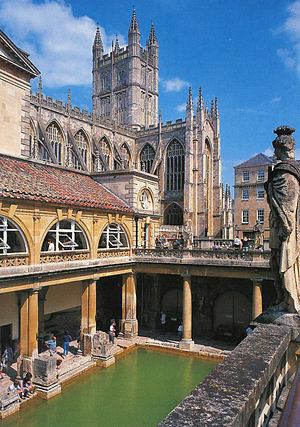 A little later on this sunny Wednesday in Bath, we’re emerging from the Pump Rooms after a fascinating tour of the Roman Baths. As we step out on to the pavement, a policeman extends his arm to halt our progress. 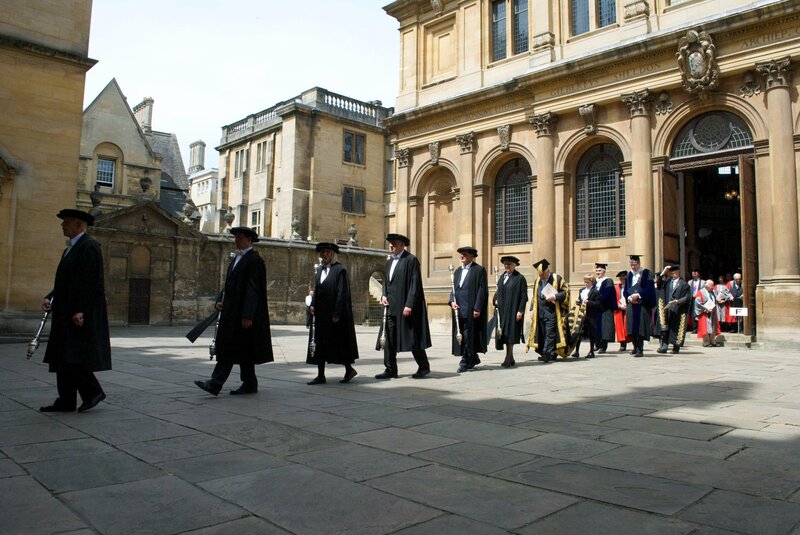 And so we just avoid bowling into a procession of Bath’s brainiest and best in all their academic finery – presumably the Chancellor, Vice-Chancellor, Dean and senior dons in full formal regalia. It’s a brilliant-hued collection of medieval robes and caps, all velvet, brocade and long feathers. The big double doors of Bath Abbey are flung open in front of them, and they being to process inside to confer degrees. As we watch their slow progress, I’m taken right back to another such ceremony which I chanced across in Oxford exactly 23 years ago. By coincidence, I was showing round another American girl that day – my old schoolfriend Cindy. We had been at an international school in Germany before returning to our home countries. I don’t remember how Cindy came to be in the UK, but she was, and she had a day to spare, so I blagged a day off work to take full advantage. At that time I was living in Tring, Hertfordshire, but even so we headed for the Cotswolds, always my spiritual home, and broke the journey at Oxford. Strolling through that ancient city, we turned a corner and almost bumped into a long, double line of colourfully dressed academics. It was a vision as sumptuous and historic as the display I’ve just witnessed in Bath (though this being Oxford, they’d probably have considered that academically they pulled rank). We even spotted some famous faces – I think Magnus Magnusson might have been one of them. I can be precise about the date because it was just a month before my first marriage. I told Cindy all about the plans for our big day. We developed a running joke about the inequality of our match, because whereas I had acquired a new dress, bag and shoes for the day, my future husband was economising. He’d recently bought two new suits to start a new job in Bristol, and he was to wear one of those. All that he needed was a button to replace one that had fallen off. So whereas I got a whole new outfit, all he would be gaining was a button. This thought sent us into paroxysms of mirth for the rest of the day. It probably accounts for our broad grins in the photos we took of each other in front of various Cotswold landmarks. (Unfortunately I can’t find them to publish them here.) Cindy was yet to meet her match, but our lives were full of promise. I think she may have been about to start a new course at university. 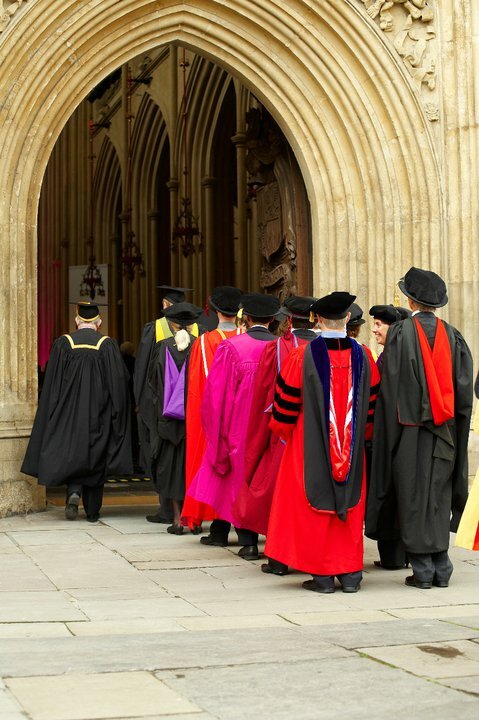 It wasn’t just the Oxford graduates who were heading towards a new beginning that day. Since that lovely sunny day, Cindy and I haven’t knowingly been on the same side of the Atlantic. She’s now settled in Florida, I’m in the Cotswolds. We’re over our new beginnings; you might say we’re somewhat advanced in our middles. We’re each married with a beautiful daughter who lights up our lives. (By chance, my current American guest is the daughter of a treasured mutual friend from the international school). We’ve done ok. And I’m sure that if we met up again tomorrow, that button would still make us laugh. Congratulations to all those who are graduating this month, and may the sun continue to shine on your new beginnings.